Both transient expression and stable pool generation approaches are available to support proof-of-concept (POC) material generation for preclinical programs designed to meet the client’s timeline and budgetary objectives. The cell line development activities are performed as stand-alone services or are fully integrated into larger scope process development programs. 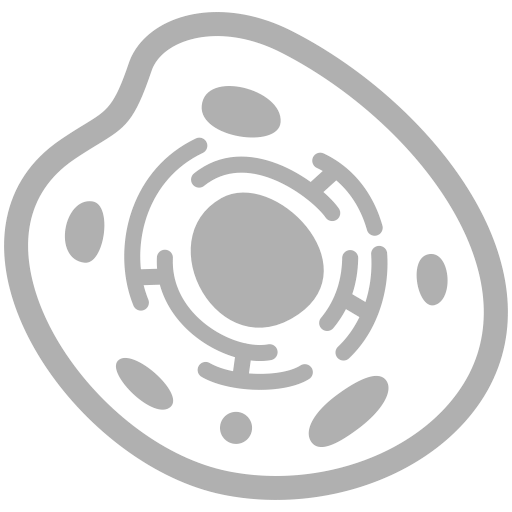 Selected cell lines are used for the generation of KBI internal research cell banks (RCBs). For full scope process development and cGMP manufacturing programs, the master cell bank (MCB) generation is outsourced to established third-party vendors. KBI conducts the quality audit of a vendor, transfers distribution vials of the selected RCB to the third party facility, manages and provides quality oversight of the pre-bank testing, the MCB production, testing and release under cGMP. Additionally, KBI offers reporter cell line generation for cell-based assay development programs. These programs range from pre-clinical method transfer or development to cGMP qualification and validation in support of clinical and commercial Drug Substance and Drug Product release and stability testing. The clinical and commercial success of biotherapeutics hinges on the development of robust, reproducible and scalable processes. KBI’s extensive process development and analytical development capabilities help our partners generate active product at an attractive cost while enabling rapid, reliable transfer to cGMP manufacturing. KBI process development activities cover the full development cycle, from supporting early-stage discovery efforts through small-scale protein production to fully-integrated, comprehensive process development programs leading to cGMP manufacturing to process characterization and scale-down validation studies. We take pride in our deep knowledge and experience in the science and practice of biopharmaceutical drug development. Our abiding customer focus and situational flexibility combined with a solid scientific base enable us to be the ideal partner for our clients’ biopharmaceutical process development needs. KBI has extensive experience with both microbial (E.coli, yeast) and mammalian cell culture derived proteins. The KBI team has worked with protein production processes at all scales from laboratory, pilot and clinical scales to commercial scales up to 20,000L. We have conducted cutting-edge research into several technologies that are fundamental to process development and are adept at solving challenging issues on very short timelines. KBI has well-developed platform processes for monoclonal antibodies and Fc fusion proteins and has helped several clients create their own platforms for novel therapeutic moieties. Our high throughput tools for process and analytical development include miniaturized bioreactors through the Ambr® platform combined with high throughput chromatographic screening capabilities and a complementary set of analytical tools to enable rapid progress in process development. Through our experience, we can readily develop optimal experimental strategies that can lead to the rapid development of robust, reliable and scalable processes. KBI’s full range of process development capabilities provide the tools to address client needs, whether they be in producing small quantities of proteins for research or in developing robust and scalable processes that can provide a solid competitive advantage. KBI Biopharma offers a broad range of cGMP biologics manufacturing services to biopharmaceutical companies worldwide. Our capabilities include reliable manufacturing for preclinical and clinical supply. KBI’s experienced team produces high quality therapeutics and vaccines through processes developed in-house or through processes transferred in from our clients. Our cell culture and microbial manufacturing facilities are fully separated including independent utility systems serving only their assigned production areas. Multiple HVAC zones, unidirectional flow of personnel and materials and strict environmental monitoring schema ensure the highest environmental quality for your clinical manufacturing process. KBI Biopharma offers a broad range of cGMP biologics manufacturing services to biopharmaceutical companies worldwide. Our capabilities include reliable manufacturing for commercial supply. Our cell culture and microbial manufacturing facilities are fully separated including independent utility systems serving only their assigned production areas. Multiple HVAC zones, unidirectional flow of personnel and materials and strict environmental monitoring schema ensure the highest environmental quality for your commercial manufacturing process. Cellular therapies are truly changing the course of health care for some of our most challenging disease indications, and the biopharmaceutical industry needs contract development and manufacturing solutions to accelerate delivery of these innovative products to patients. KBI’s Cell Therapy team, located in The Woodlands, TX, has been managing a fully functional manufacturing facility supporting cell therapies and have been developing therapies under IND since 2001. Our team has substantial expertise and knowledge in the manufacturing, process development and regulatory aspects of cellular therapies as well as maintain strong relationships with the US FDA and Health Canada. Our GMP cell culture facility offers three independent culture suites, unidirectional flow of personnel and materials, and environmental monitoring to support quality manufacturing processes. KBI’s Process Development capabilities allow us to translate basic science assays into robust, reproducible, scalable manufacturing processes to accelerate a client’s clinical development program. Through stringent control of processes, materials and equipment, we can process numerous products for a single client’s project in parallel, thereby reducing cost and time required for a project. Centralized receipt, manufacture, and supply of patient materials to facilities across North America. We offer a comprehensive range of analytical, biophysical characterization, mass spectrometry, and modeling and simulation capabilities. KBI’s scientists expertly apply these technologies and and methodologies to interpret the data to deliver the right information needed to support your product through all stages of development as stand-alone consulting services. KBI has substantial experience in the design and execution of analytical comparability studies. We have executed such studies in support of reference material characterization, manufacturing site changes, and biosimilar-to-innovator comparability, just to name a few. KBI can develop the protocol, perform the analyses, analyze the data, and provide a submission-ready comparability report with all requisite figures and tables. Whether you are seeking developability data to support proof-of-concept, initial characterization to support IND filing, or comprehensive forced degradation and impurity characterization to support BLA licensure, KBI offers the experience and instrumentation needed to enhance your understanding of your molecule and accelerate development.